HomeClosed Back Headphone ReviewsAudeze Sine Review | ALMOST PERFECT! Before we get into the Audeze Sine review, grab a snack, sit back and relax because..
Driver Size: 70mm. What is a Headphone Driver? Sensitivity: >120dB. What is Sensitivity in Headphones? Total Harmonic Distortion: <1% full spectrum @ 100dB. Material: Metal, Plastic, Genuine leather on the outside of the ear-cups and headband, faux leather on the ear-pads themselves. Cable: Cipher cable with 2.5mm stereo and 3.5mm to 1/4″ stereo adapter. Cipher cable is iOS only, and does not come packaged. You will have to purchase separately. The Cipher cables inline remote contains a built in Amp/DAC which allows you to control the sound how you want. Not only that, but there’s also a dedicated 10 band EQ app that works with any music player on your phone. Built in mic: Yes. Can be used for phone calls and is SIRI compatible. I fell in love with the closed back Audeze Sine upon first listen in demoing them at my local audio advice. I used a NAIM DAC V-1 paired with an Oppo Receiver, and primarily listened to tracks from Chon’s album “Homey.” Closed back vs. Open back headphones. Build quality seems pretty rugged overall. I wouldn’t feel uncomfortable dropping these, and feel they would survive some abuse. Style wise, they’re fairly utilitarian. A lot of people swoon over their look, but I found it to be pretty standard. Nothing too special going on, although I very much dislike the leather on the outside of the ear-cups. I think it’s one of the poorest design choices they could have come up with. Because they easily get dinged up and scratched, and it ends up looking pretty awful. Because I was listening with a demo model I could tell that they had been through the ringer a few times. It wasn’t at all attractive. 😛 I’m pretty sure that’s the reason that they’re not as gorgeous to me, but who knows. Aside from that minor complaint, these babies seem very rugged, and are built out of primarily metal with some plastic thrown in for good measure. They feel extremely solid in the hand. Comfort is a bit of a mixed bag. The clamp is fairly tight which will bother you after a time. There’s no getting around that. Being Supra-Aural (On-ear), they will start to hurt your ears. So it’s kind of a double whammy. That said, I think the sound makes these worth it. I would classify the sound as smooth, accurate, and tonally balanced. The timbre here is absolutely phenomenal. What is Timbre? The sound is never harsh and rarely sibilant, and comes across as very pleasant. What does Sibilant mean? They seem pretty honest as well. You get a phenomenal sense of instrument separation and placement. They remind me of a Sennheiser HD558 with more bass, and a bit more overall presence. Female vocals also have a nice presence, and the mid-range seems a tad forward to me, yet overall pretty flat. It’s very tonally accurate, with an unobtrusive sound that just kinds of provides you the music as is. I love the fact that you’re able to hear everything going on as well. Bass is very present but not overbearing. Nice extension. Durable and made of good materials. Clamp force is fairly tight, and these will become uncomfortable after a short period. The leather on the outside of the ear-cups is questionable. You’re not going to need an Amp or DAC if you happen to have an iPhone, but you will if you’re using an Android device. Really my only complaint with these. How to choose a headphone amp! Also, as mentioned before, the Cipher cable will provide you a built in Amp/DAC, and coupled with the 10 band EQ app these are almost a no brainer. I found these to be great with pretty much all genres. They seem to be very versatile, handling the frequency spectrum with ease. They really make you sit back and relax, smile, and just nod your head. The presence, balance, and smooth character they provide is just unreal at times. The Soundstage is excellent for a closed back. What is Soundstage? They do not fold up, but the ear-cups do rotate. Though these are billed as headphones that will sound great out of anything, I would be wary. As I mentioned before, they sounded a bit quiet out of my Galaxy S5, so I would plug them into an amp if you can. I run the Schiit Magni/Modi combo, but most anything should suffice. 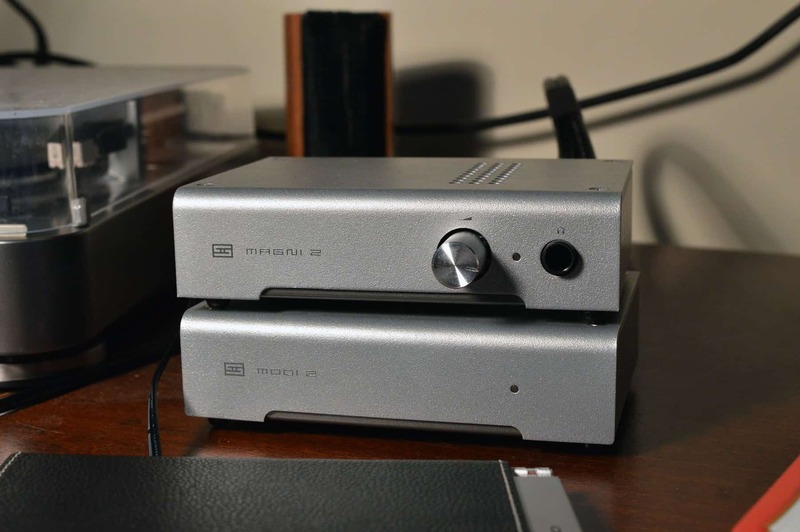 The E10K is a good example of an Amp/DAC that will work just fine. The best headphone amp for the money. An extremely accurate set of headphones. Built well. Comfort is the only caveat. It’s not terrible, but you will be making frequent adjustments depending on the size of your melon, ears, etc. Sound overall is phenomenally balanced, smooth, and correct in Timbre. B) Get an affordable Amp/DAC combo if you have a phone similar to mine, because it will likely be too quiet for you. That said, I think I’ve said everything I wanted to say about these puppies! Well that’s about it for today my friend! I hope you’ve enjoyed this Audeze Sine Review. Does this headphone sound like something you’d enjoy? I would love to hear from you. Until next time..